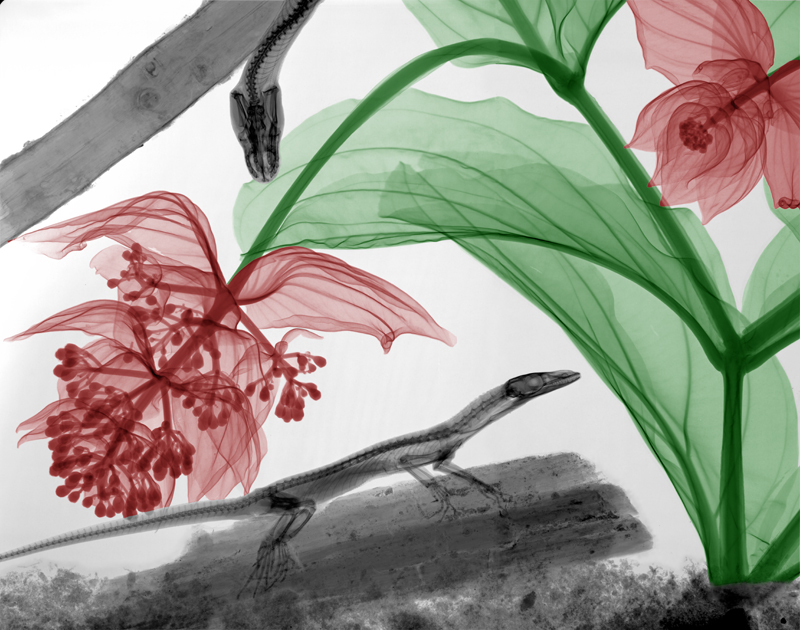 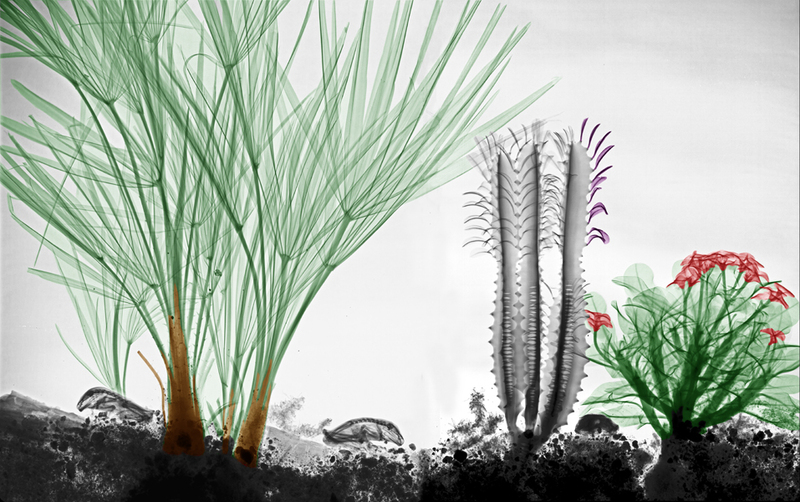 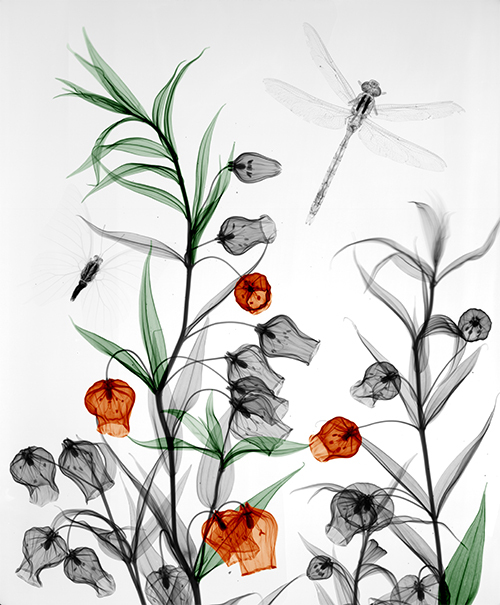 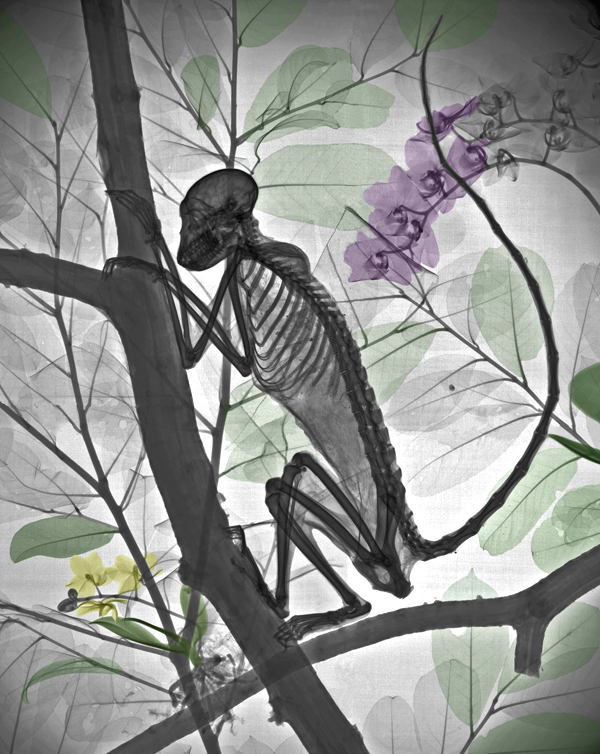 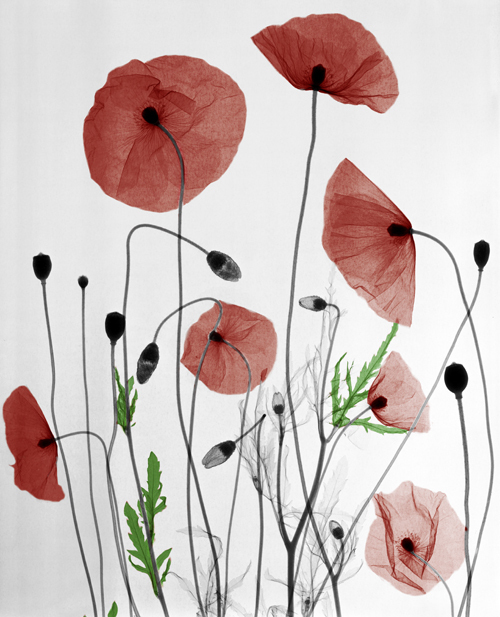 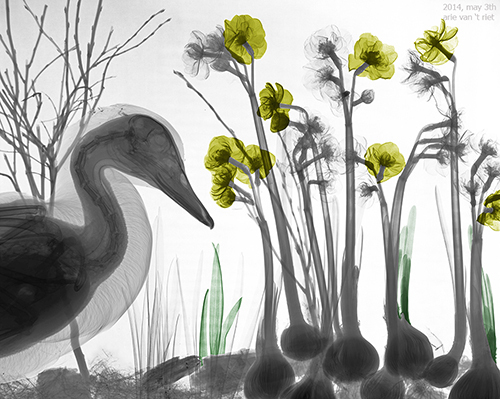 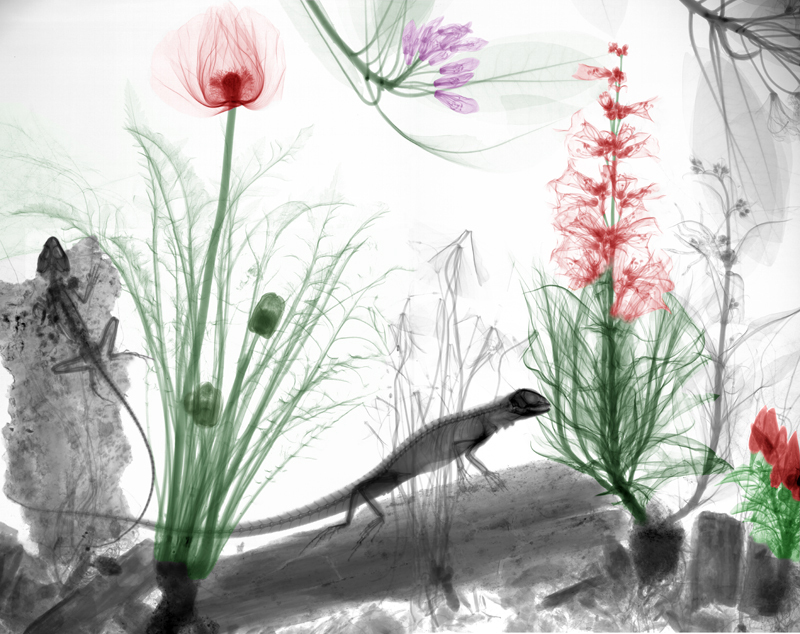 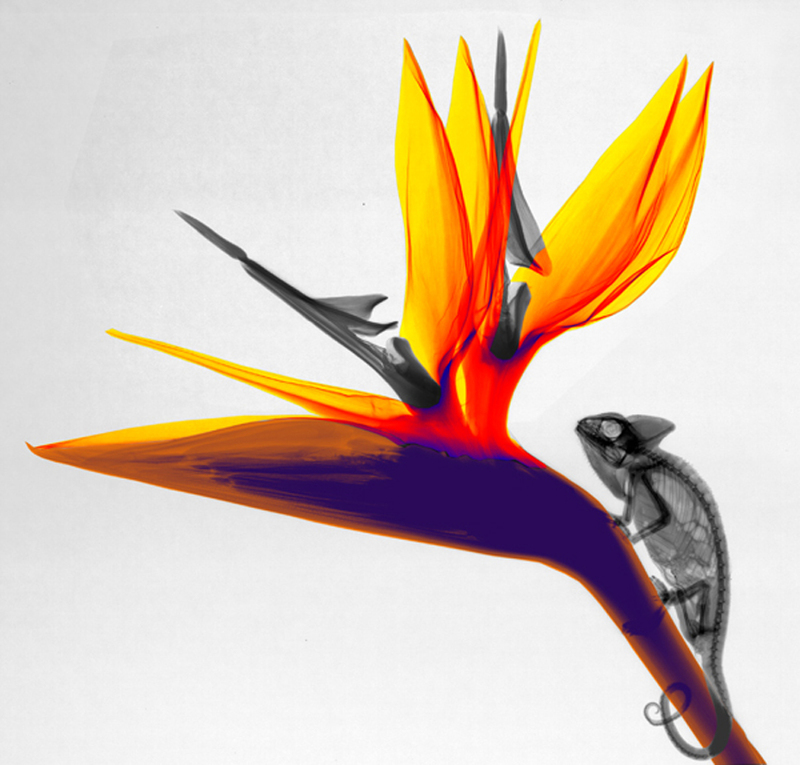 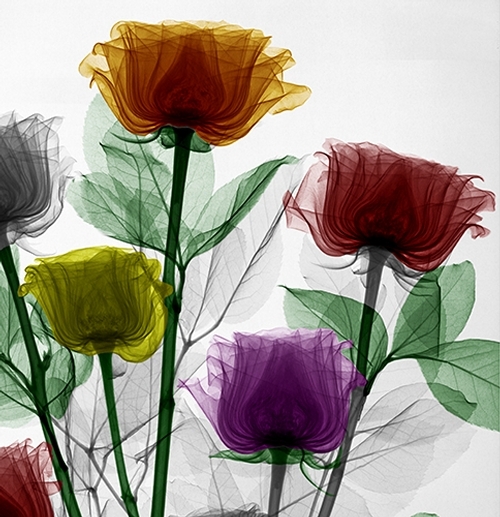 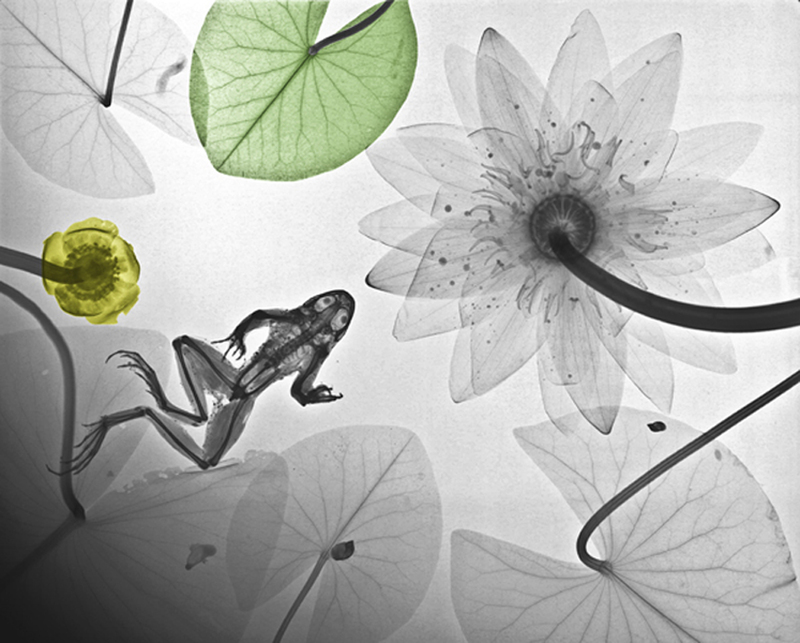 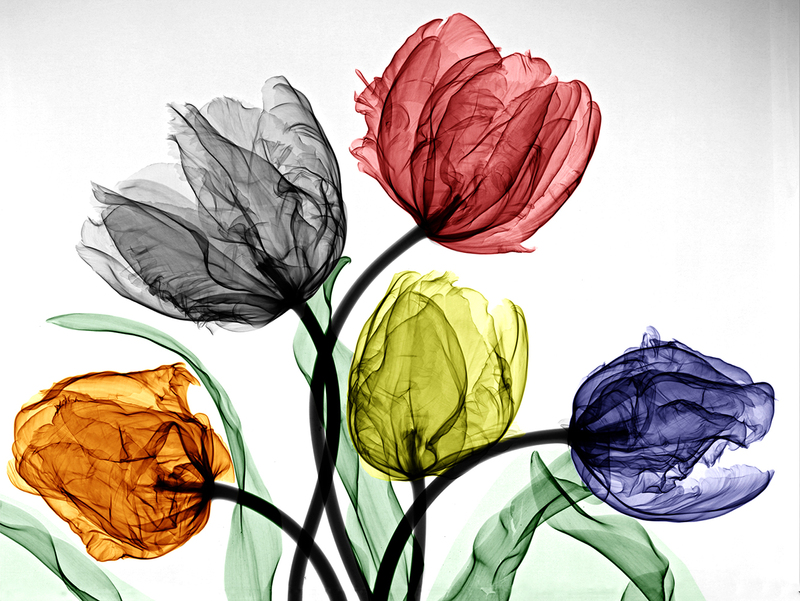 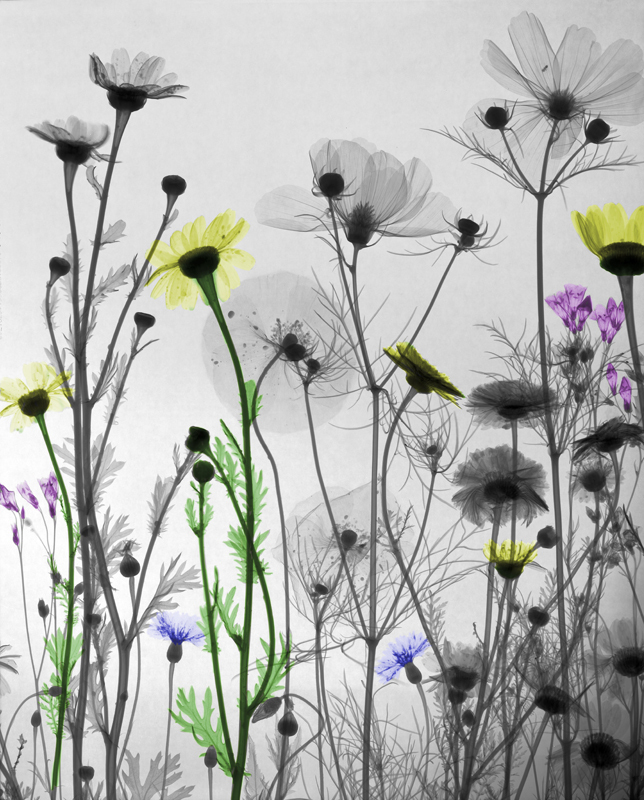 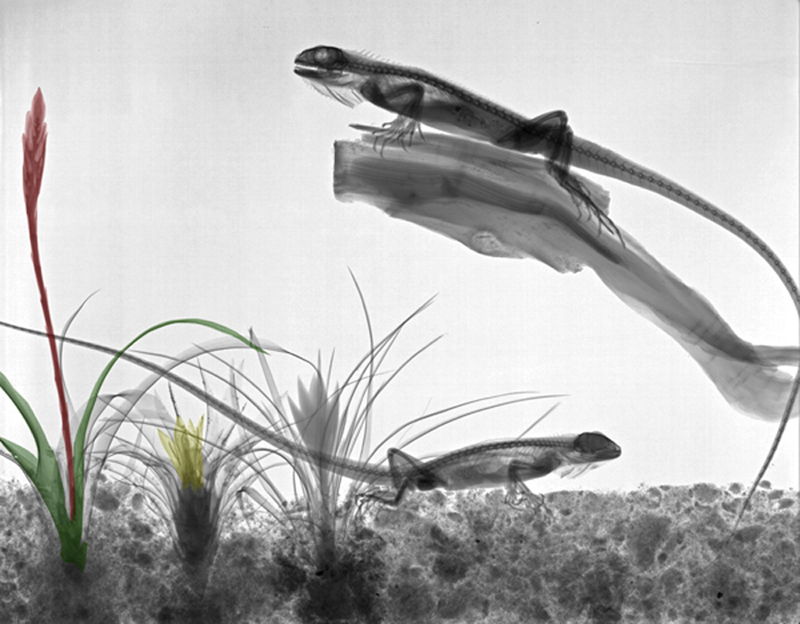 Arie van 't Riet is a physicist from the Netherlands that specialises in radiation physics, specifically in very low energy X-rays. 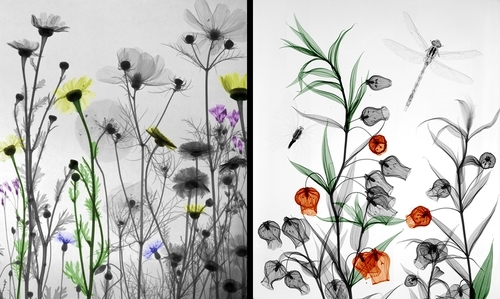 A few years ago, he started experimenting with Black & White X-ray photography and then partially colored them, to make these beautiful minimalist looking paintings. 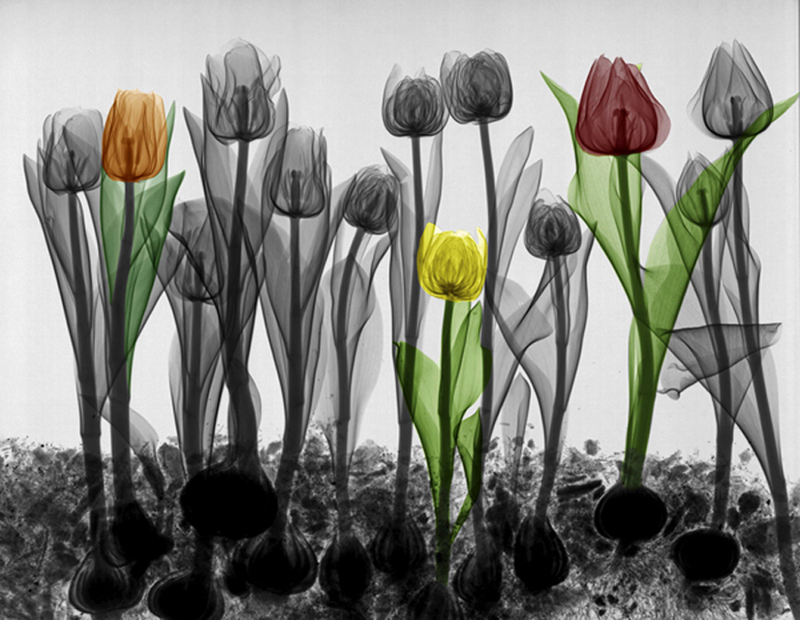 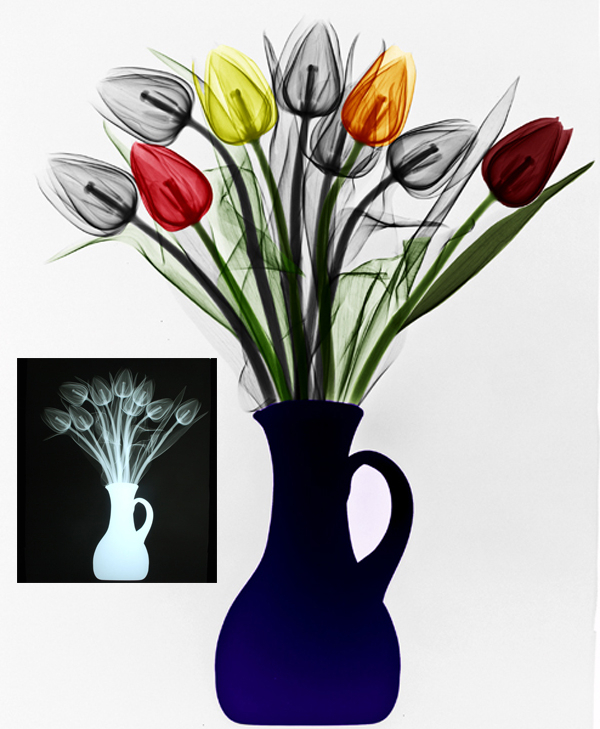 As you can see below in the Tulips, we have added the original Xray photograph in the picture. 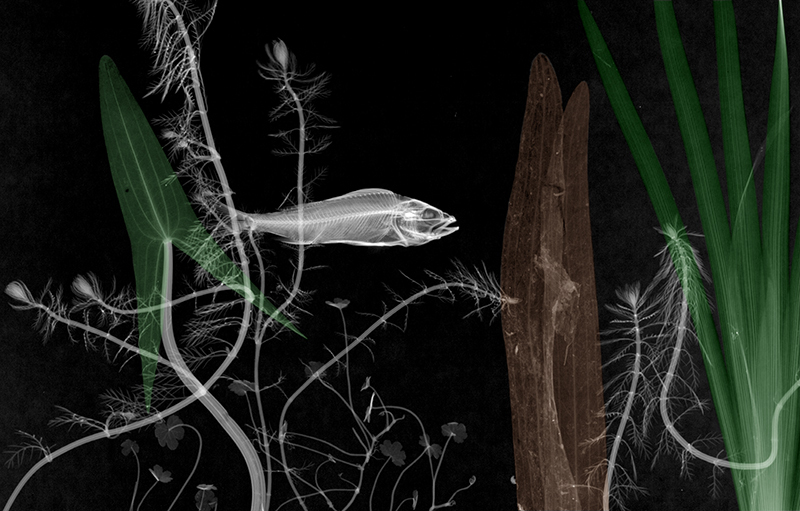 There is also a wonderful gif animation of flowers opening up below.